Lin-Manuel Miranda in "Mary Poppins Returns"
Adjust your countdown clock! The highly anticipated movie sequel Mary Poppins Returns has shifted its release date. Initially announced to premiere on December 25, the new flick will now appear in cinemas on December 19, according to Deadline. 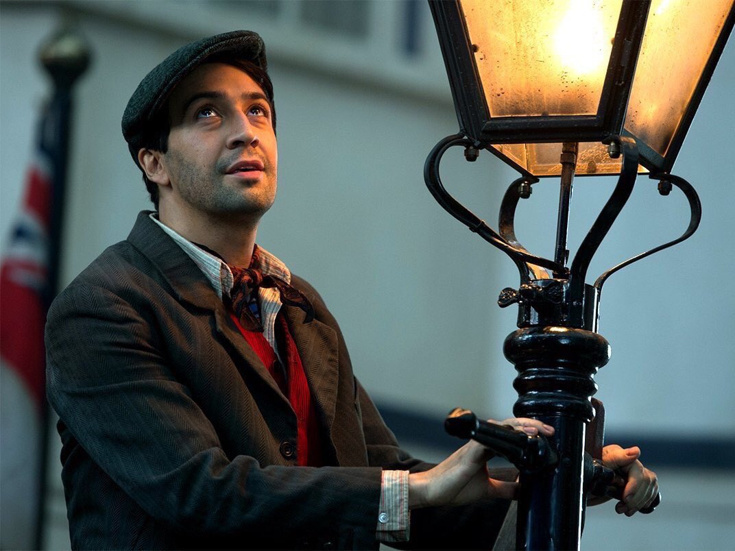 Hamilton Tony winner Lin-Manuel Miranda headlines the film as Jack the lamplighter alongside Emily Blunt in the title role. The movie features original music and lyrics by Hairspray Tony winners Marc Shaiman and Scott Wittman. Mary Poppins Returns follows a now-grown Jane Banks (Emily Mortimer) and Michael Banks (Ben Whishaw) in Depression-era London. Along with Michael's three children, they are visited by Mary Poppins (Blunt) on the heels of a personal loss. With the aid of her friend Jack (Miranda), she helps the family rediscover the joy missing from their lives. Gear up for the new film with the teaser trailer below.